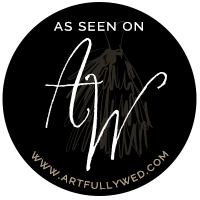 I am a Saint Paul & Minneapolis wedding photographer. I shoot with natural light, Nikon, and more coffee than most people can handle. My goal for your wedding is to capture fun and natural portraits with a splash of romantic vibes. My focus is serving each couple with joy. If you want to get to know more about me I have the low down right here! This is a small peek into my other wonderful MW Couples! Your wedding experience is not limited to your wedding day photography. It starts here and continues up until the day when your photos are delivered. My goal for your wedding photography & experience to be filled with joy and reflect your love! Your engagement shoot reflects who you are and helps you get familiar with your photographer! It is a small, fun preview of your wedding day! I am based in St Paul and Minneapolis, but I travel to all the surrounding areas! I have also been blessed to travel for some weddings in other states such as New York, South Carolina, & Wisconsin. My goal is to continue to travel for weddings all around the world! If you have any questions regarding travel don't be afraid to ask.